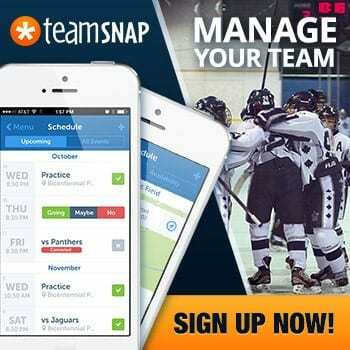 Recently, the Los Angeles Kings made a point to reference the fact that their team needs to generate better chances. This topic was revisited in a recent piece on pursuing Joe Thornton. 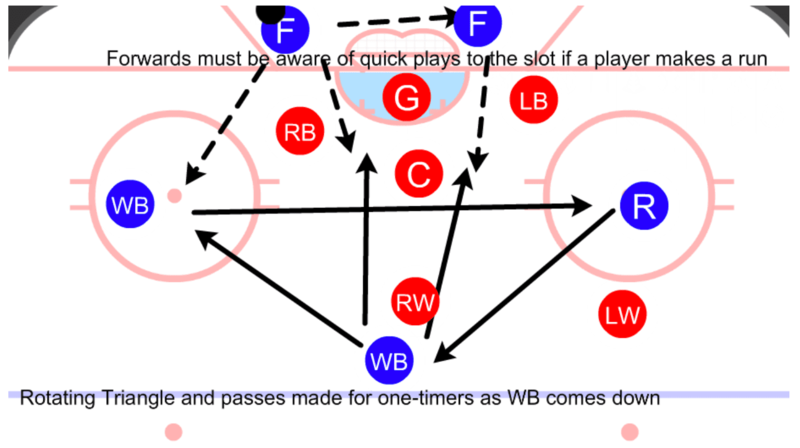 In both pieces, the Kings are discussed as needing to generate higher quality chances to the slot area, whether that’s through passing or skating. 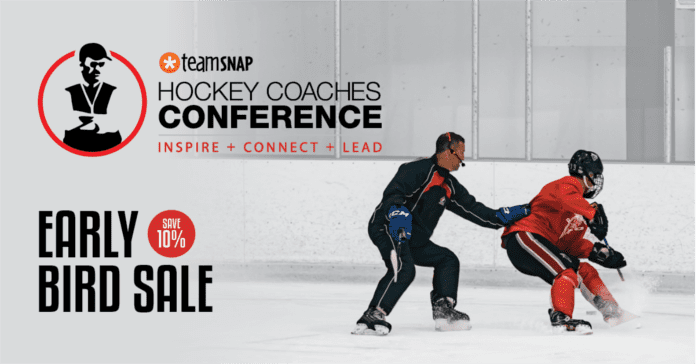 A little backstory: I diagnosed and wrote about this last year after viewing then Kings assistant coach Davis Payne’s presentation on generating offense during the coaching clinic at the NHL draft in Buffalo, NY. With the right data, it becomes possible to measure and evaluate how a team generates offense. Rather than look at the location of the shot, sequential passing data allows us to measure the impact on goal-scoring from different origin points on the ice, as well as the evaluating whether a pass or a shot was a better choice given the situation. Some of the findings from my work has led to the conclusion that teams don’t play behind net often enough. Without going too deep into the numbers, the reason why playing behind the net is advantageous is because it predicts the rate at which your team will score goals much better than most other offensive metrics. So, if a team is dominating the shot totals, but struggles to score, it is worth the investment to review just how the team manufactures offense and seek to improve the quality of the team’s output. Let’s have a look at some NHL teams to illustrate the point. The above chart shows that despite leading the league in shot generation, the Kings did not score on par with other prolific offensive teams like the Stars or Pittsburgh Penguins. This is partially due to the Kings completing “Dangerous Passes,” which are what I call a shot assist (pass preceding a shot) the originates from below the goal line or moves across the slot, as a lower percentage of their overall offense compared to the rest of the league. Let’s look at this most recent season to see what, if anything, changes among the leaders. The Kings have no issue with generating shots and getting possession in the offensive zone, but suffered from creating many dangerous chances as I outlined last summer. Again, we see the Kings as the lowest team in the league when it comes to their shot selection. Basically, less than ten percent of the Kings shots are the result of a dangerous pass. You can see how some of the more successful teams via goal-scoring rates have higher dangerous pass percentages. So what? Sequential passing data offers a way for a team to quantitatively evaluate how efficient a team’s offense really is. As you can see, the Kings generate a lot of shots, but have the worst proportion of quality chances to shots in the league. This should lead to a team revisiting how they play the game. Naturally, I wondered what it would look like if a team made the conscious decision to run more of their offense from behind the net. I think the examples below would be a good start. 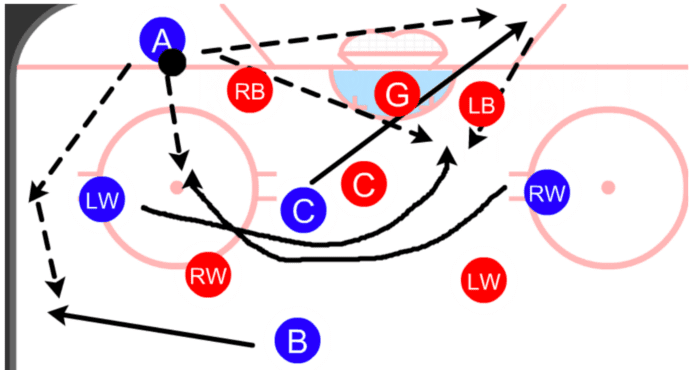 The diagrams that follow are from a larger piece of work that expands on the position designations (You can view the entire piece which goes through each phase of the game and how we can apply data analysis to improving a team’s system), but briefly: defensemen are replaced by backs or wingbacks to make supporting the forwards and jumping into the play a bigger part of their identity. Before I get into examples, there is one other point I want to articulate about offensive zone strategy and that is the net front presence. I don’t believe it is wise to simply plant a player in front of the net at all times. I do feel that many teams will feel compelled to have a player defending their net at all times, however. 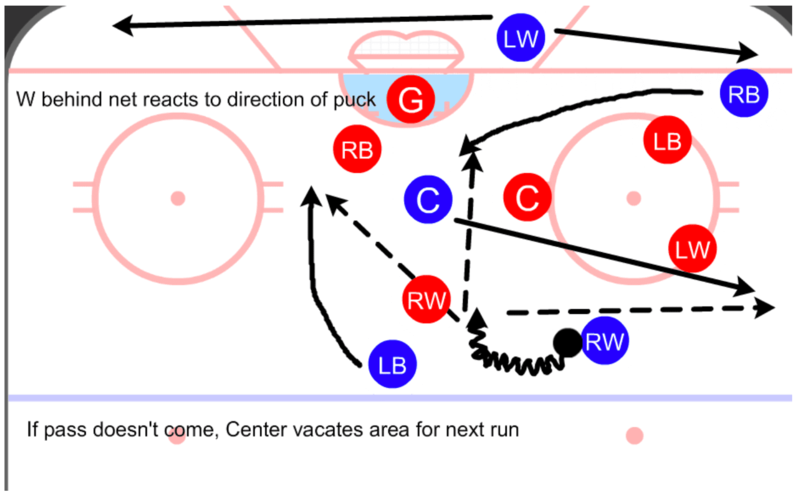 So, if the offensive team simply makes continuous, cycling runs towards the net with multiple players at different times, it creates confusion among the defenders and will likely end up with an open player elsewhere on the ice, or lead to the offensive team outnumbering the defending team at the net. The reason for this preference is that planting a player at the net limits your options for passing and creativity. Shooting for rebounds or deflections isn’t a bad play and shouldn’t be condemned, but preferably, teams should try and create multiple passing plays by having five options all over the ice. This advantage becomes obvious if the defending team insists on a defender near the net, allowing you to play 5v4 along the perimeter and probe for openings and quality chances. 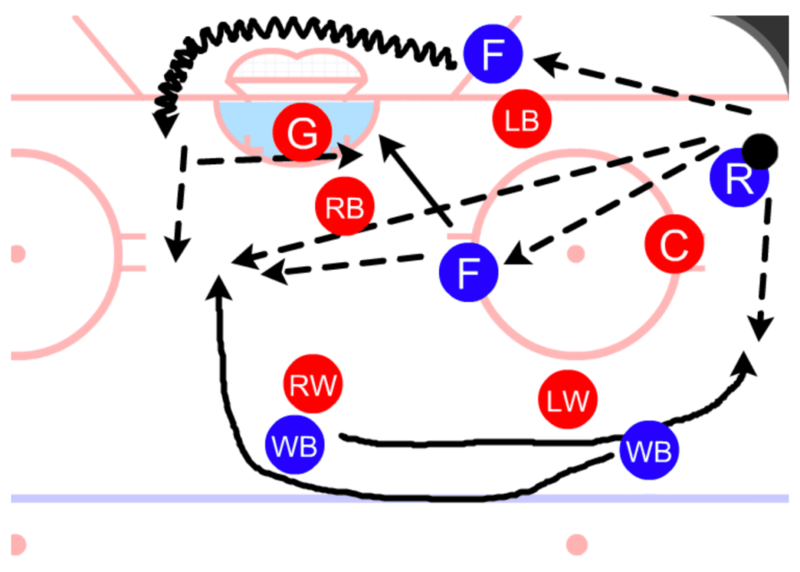 If our offense were to set up behind the net with one or two players, having a third remain stationary at the net front leads to a very crowded area. However, if this player, and others on the team, regularly are in motion, it creates gaps that our team can exploit. 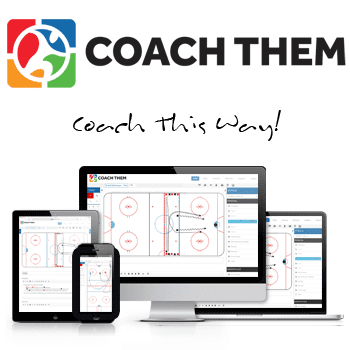 Playing behind the net forces teams to be responsible for a larger field of vision (everything in front of goal in addition to behind it), rather than teams playing at the point or on the wall. Furthermore, completing multiple passes prior to shooting is a boost to a team’s likelihood of a team scoring a goal. The numbers are higher due to the strain that sustained possession puts on the opposition. Having to stay with your marker, maintain lane and gap integrity, often times at skating through and around the zone, this all leads to openings. Jonathan Quick wrote that the strain this puts on a goalie’s legs when you play behind the net is more than if a team plays higher in the zone or along the perimeter. Look at these examples to see how the defending team is at a disadvantage when teams play behind the net. Below are examples of how a team can use this analysis to tweak their tactical approach, likely resulting in better offensive chances. 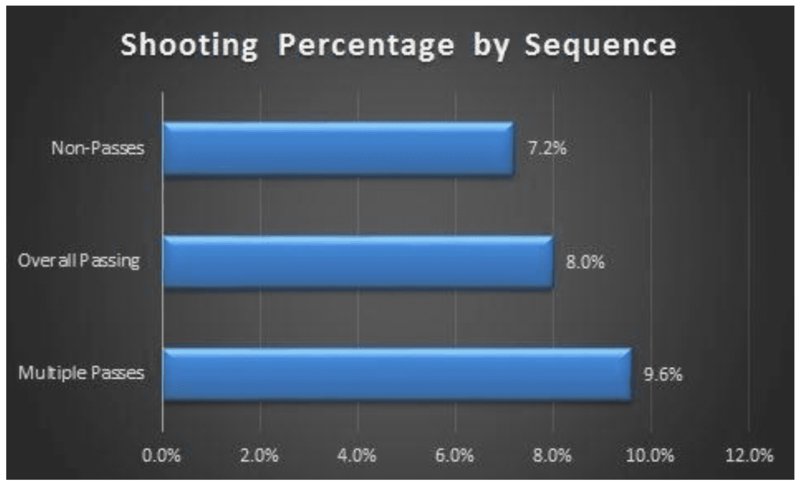 While playing below the goal line is highly predictive of goal-scoring, the actual shooting percentage rates are as follows: single pass from below the goal line preceding a shot has a little over 6% chances of scoring, multiple passes from below the goal line preceding a shot has over 10% of scoring. Here Joe Thornton collects the puck in the corner and sends it below the goal line where he has support. Tomas Hertl picks it up and has the option to pass to Joe Pavelski on the other side of the net, or make the centering pass to Brent Burns, who has activated and presents as an option at the net. Had either Hertl or Pavelski simply positioned themselves at the net, Burns might not have activated and been open. This is why cycling players through the slot while the puck is down low is advantageous as the defenders have to continually assess where the attackers are. Here Justin Braun activates down the wall and sends a pass over to a Michael Haley below the goal line. Melker Karlsson starts to leave the slot, but follows Braun’s pass and then cuts through the slot for the easy goal. Had Karlsson simply remained at the net, the Wild defenders could have marked him easier. Again it is continuous movement that creates the openings. Here you can see what playing below the goal line does to a team when they collapse all five players below the faceoff dots. The New York Islanders do that and fail to prevent Phil Kessel’s pass out in front. No one accounts for the Pittsburgh Penguin player behind them due to where the puck is. By simply shifting the opponent’s attention provides cover for your teammates to get into an ideal shooting location. Mikael Granlund takes the puck away behind the net, passes over to a teammate, who then is either trying to bank this in off the goalie or passing to Mikko Koivu in front. Either way, because Koivu doesn’t stand in the slot, he is unmarked when he makes his run into the area, leaving him wide open for the goal. Continuous movement in and out of the slot, playing below the goal line, and a defense that’s reacting instead of attacking are all staples of efficient offenses. So, what would an actual system look like that’s based around these concepts? Below are some ideas. The options off of this rotation are numerous. A hole in coverage will naturally open up due to the crossing and routes run by the wingbacks and Rover. The first read should be a one-timer from the wingback coming down from the point. A second option would be if the player crossing across the slot finds some open ice and pops out for a chance. A quick switch behind the net allows for new passing lanes. You could also flip the triangle and rotate a player in front of the net with the two players below the goal line. This would be similar to specific lacrosse tactics. There you would be trying to draw players away from the goal and hitting one of the wingbacks cutting down the dot line and across the slot. This may be more appealing if teams do not want to deal with the risk that comes with having the high triangle, as a misplaced or intercepted pass could start a rush the other way. By flipping the triangle, there are two players higher in the zone rather than a single point player. If the opposition has collapsed due to our behind the net presence, we will need to draw them out again. Using the open space on the wings, our forward and wingback switch (pass preferred, but optional) and the other wingback makes runs off of the Rover’s movement back to the point. The goal here is to attack space in the slot as the opposition spreads out and reacts to the new movement. Here the Rover has the puck on the half-boards. 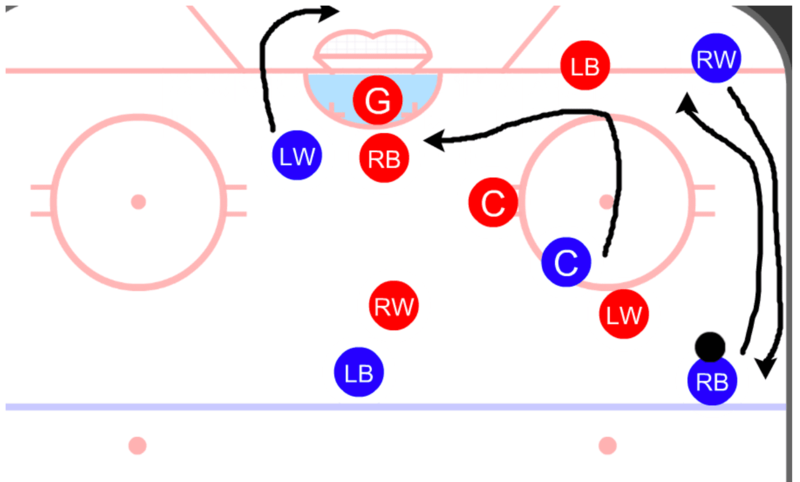 If the wingbacks are marked tightly,, an alternative would be to have the wingbacks exchange position with one coming to the puck for an outlet and the other making a backdoor run at the far post. The slow forward, always positioned just outside the net-front defender’s reach, acts as a shooting option or can dummy the Rover’s pass through to the wingback coming downhill. The Rover can also send a pass low and that forward can pop out the other side looking to hit the wingback for a one-timer. Net Front Cycle, Phase 1. Another option of a switch, and something I discuss at the outset of this section, is to have a net front presence by way of cycling players in and out. Here is how that play starts. As the winger and back exchange along the wall, the center makes a run towards the net. At the same time, the weak-side winger releases behind the net. As the play develops, we have a direct option to pass to the center, shoot/pass for a high tip in the slot, or pass low for a touch pass back to the center. Net Front Cycle, Phase 3. If the pass doesn’t come, the center vacates the slot and moves to cover the point. 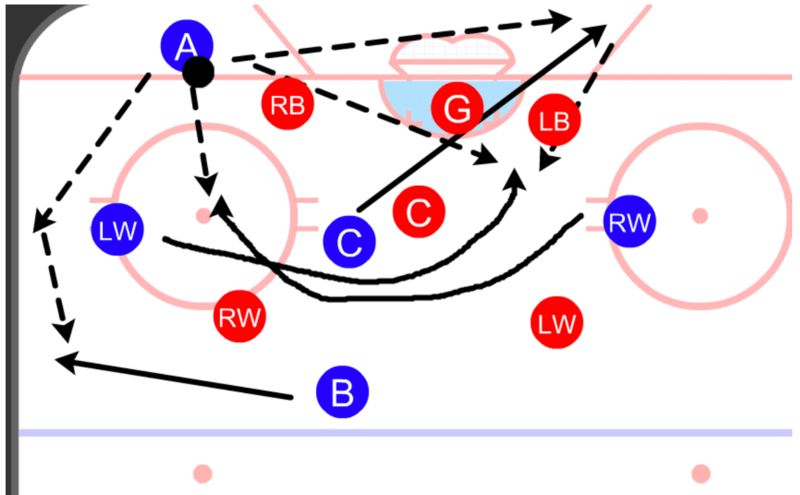 This opens the lane for the weak-side back to make a run, coupled with either the deep forward to pop out or for the boards-side winger to fill the center’s place. The winger now at the point can reset by bumping it back to the center as they come to the point, shoot, hit either player making a run, or pick a corner to reset below the end line and get it to the deep forward. As this play unfolds, you likely have coverages failing and someone spring free during the runs being made. 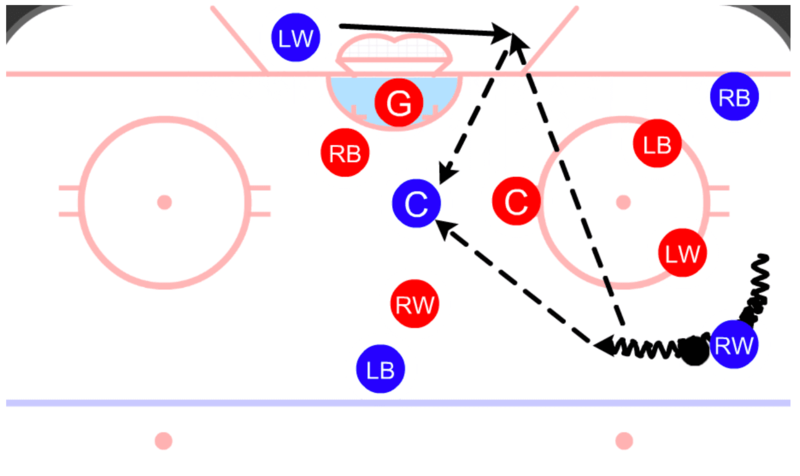 As mentioned above, with the puck behind the net, the wingers exchange with the center moving towards the far post. The center will end up behind the net near the far post. The attacker’s primary read is to hit the weak-side winger coming in behind the run of the strong-side winger and center. The secondary read would be the strong-side winger’s run to the far post. The third would be a play to the center either at the net or after they have taken position below the goal line. Back remains an outlet. Hockey analytics still has a ways to go with accounting for everything happening on the ice, but one way it can start to have an impact is in shot selection and offensive tactics. This has a trickle-down effect into player selection also, as a shift in preferred shot sequences will naturally lead to preferred skills. 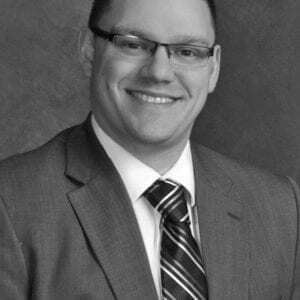 Coaches should always be evaluating their team’s play and working to ensure they are operating at maximum efficiency when in possession of the puck. One way to do that is to play below the goal line more often.